Peanuts. This product is made in a factory that also handles tree nuts, sesame seeds, gluten, milk and soya. 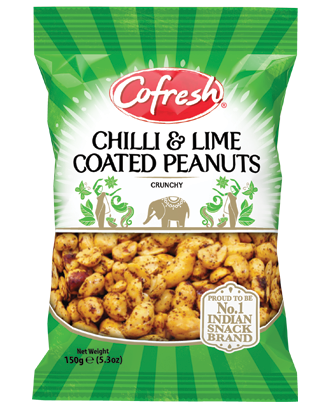 Our Roasted Corn Nuts are deliciously flavoured with Chilli & Lemon & made from the finest quality ingredients.